Smyths Toys Superstores are to open their ninth North West store in Eccles, SalfordOnline.com can reveal. Sadly – or happily, depending on your disposable income – it won’t be in time for Christmas 2015. The retail giant, which has over 60 branches across the UK, is set to open at the West One Retail Park in early 2016. 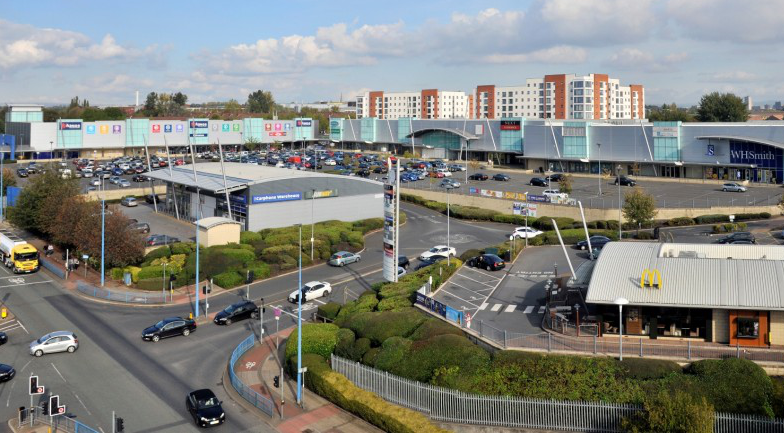 Smyths currently has eight large retail park stores in Greater Manchester, Lancashire and Merseyside but this will be their first expansion into Salford. The firm is expected to take unit 6 at West One, comprising over 14,480sq ft.
It’s next door to homeware retailer The Range, whose own store opened to huge fanfare in November 2014. It’s the latest retailer to take space after a £500,000 plan by Home Bargains to move out of Eccles town centre were revealed on SalfordOnline.com in October. This move will create around 50 local jobs. Smyths are now recruiting for a Store Manager and Duty Manager, with a closing date of 31 January. Smyth’s other stores open 7 days a week and the same is expected for Eccles. Opening hours are still to be confirmed but they are expected to be 9am to 8pm Monday to Friday, 9am to 6pm on Saturday and 10.30am to 4.30pm on Sunday. In May 2015 Frogmore Real Estate Partners paid £17.7m to buy the West One Retail Park from Kilmona Property, formerly known as PBN Properties. The 15-unit, 150,000sq ft retail park had struggled to retain tenants after the recession and was largely vacant. But a resurgent economy, along with attractively-priced deals, is bringing major retailers back to the out-of-town shopping centre. On site now are The Range, McDonalds, WH Smiths, Subway and Carphone Warehouse. Smyths Toys Superstores confirmed the move but said it could not verify any further details until mid-January 2016.